This biography is the journey of a shy boy from a remote Pennine hill farm to a man who is now a renowned international consultant on conservation genetics with a CBE for services to rare breeds. 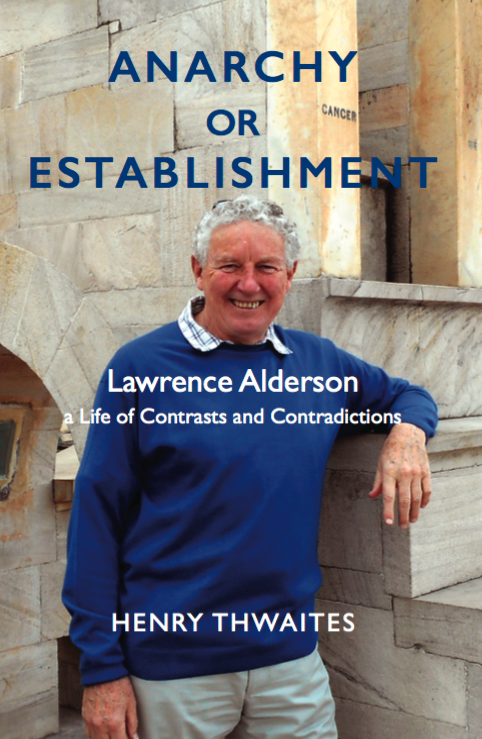 Lawrence Alderson has dedicated much of his life to saving traditional native breeds and was founder president of Rare Breeds International and the founder, scientific consultant and chairman of the Rare Breeds Survival Trust. He is the only founder who has been in the forefront of the movement since the late 1960s. Since the foundation of the Rare Breeds Survival Trust no British farm animals have become extinct and many endangered farm breeds around the world have been saved from the brink of extinction. He is an eternal optimist with a ‘glass half full’ attitude to life, always looking for positive opportunities even when the outlook is bleak. His smiling northern sense of humour has carried him through many farming disasters such as Foot and Mouth Disease. There is little doubt the benefit of his legacy will be felt in many farms and fields across the world. Henry Thwaites has lived much of his life in Yorkshire. He was born into a farming family in northern England and is a practical agriculturalist whose attention has been focused primarily on breeds of farm livestock, but he also pursued literary ambitions from an early age with livestock at the core of his interest. As a result of meeting Michael Rosenberg in the 1970s he was drawn into the ‘rare breeds’ world. He contributed to The Ark, a monthly magazine on endangered breeds, and prepared draft papers and reports for research projects. His Yorkshire background and involvement with native British breeds of livestock gave him an appreciation of rural values and the opportunity to understand the motivation of leaders of the movement for genetic conservation.